hd00:14View on the Wailing Wall, orthodox religious Jews and tourists during the Jewish Pesach (Passover) celebration on April 12, 2012 in Jerusalem, Israel. 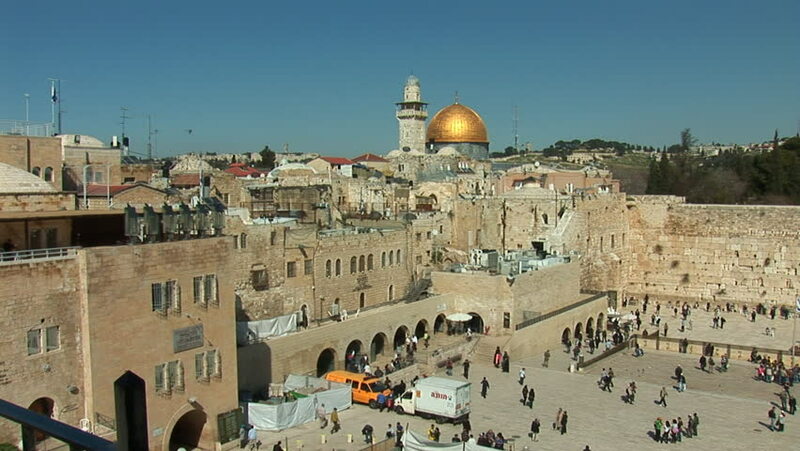 hd00:21JERUSALEM, ISRAEL CIRCA 2013 - The Dome of the Rock towers over the Old City of Jerusalem and the Wailing Wall. hd00:10Jerusalem, Israel - May 25, 2017: People crowd with soldiers and military men at the Western wall in Jerusalem. Western wall or Wailing wall or Kotel is the most sacred place for all jewish people.